Fr. Brendan serves on the International Dominican Commission for Justice and Peace. He serves as the North American Dominican Co-promoter for Justice and Peace and the Integrity of Creation, the commission for justice and peace representing Dominican sisters, brothers, priests, and laity in the United States and Canada. Fr. Brendan serves at the Resurrection Project in Chicago, advocating for school choice. Fr. Brendan Curran, O.P. 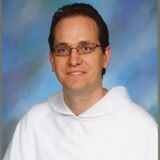 is a Dominican priest who for the past several years has served as Special Assistant to the President at Dominican University in River Forest, Illinois. Fr. Curran is the founding chair of the Dominican University Latinx Visioning Working Group, designing support and leveraging the cultural strength of first-generation immigrant students and families in admissions, scholarships and grants, classroom, advising, career mentoring, and alumni/ae. Before arriving at Dominican University, Fr. Brendan served for nine years, as pastor of St. Pius V Catholic Church, considered one of the most prominent pastors fighting for immigrant rights in the Midwest. He led a parish staff of over 5o full-time employees with a budget of $ 3 million. St Pius V has been the home to the HOPE Domestic Violence Intervention Program, the largest parish-based program in the United States. In 2014, one of his proudest moments, he was a critical voice in convincing the Illinois General Assembly to pass Illinois Drivers Licenses for undocumented immigrants protecting over 300,000 immigrant drivers in Illinois. He is a founding leader of Priests for Justice for Immigrants, an organization of over 100 priests in the Archdiocese of Chicago to support for comprehensive immigration reform in the struggle for immigrant rights. He has been published in the books: Marcha! Latino Chicago and the Immigrant Rights Movement (2010, University of Illinois Press) and Hope Dies Last by Studs Terkel (2003, The New Press). He is also an outspoken presenter and facilitator on leadership and immigrant rights, Catholic Social Teaching, and retreats in the Midwest. Can You Drink from the Cup from which Jesus Drank? Ephphatha! Be opened to Christ! If You Had Faith . . .